↑ McLeod MP, Qin X, Karpathy SE, et al. (September 2004). "Complete genome sequence of Rickettsia typhi and comparison with sequences of other rickettsiae". 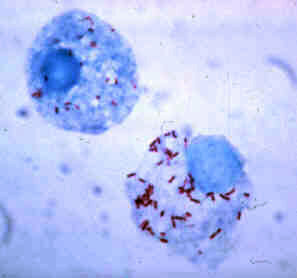 J. Bacteriol. 186 (17): 5842–55. doi:10.1128/JB.186.17.5842-5855.2004. PMC 516817 . PMID 15317790. ↑ Henry KM, Jiang J, Rozmajzl PJ, Azad AF, Macaluso KR, Richards AL (February 2007). 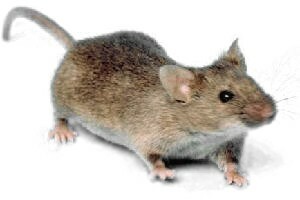 "Development of quantitative real-time PCR assays to detect Rickettsia typhi and Rickettsia felis, the causative agents of murine typhus and flea-borne spotted fever". Mol. Cell. Probes. 21 (1): 17–23. doi:10.1016/j.mcp.2006.06.002. PMID 16893625. ↑ Walker DH, Yu XJ (December 2005). "Progress in rickettsial genome analysis from pioneering of Rickettsia prowazekii to the recent Rickettsia typhi spread by the fleas and ticks of flying squirrels". Ann. N. Y. Acad. Sci. 1063 (1): 13–25. doi:10.1196/annals.1355.003. PMID 16481486.